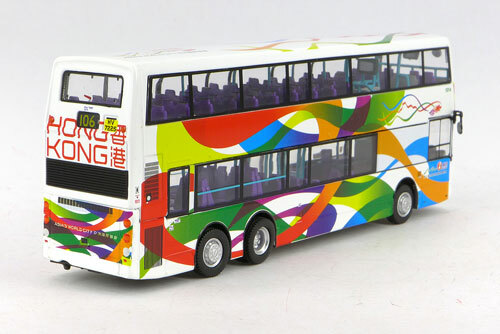 The model - this model was announced on this site on 12th November 2013 and it was released just six days later on 18th November. 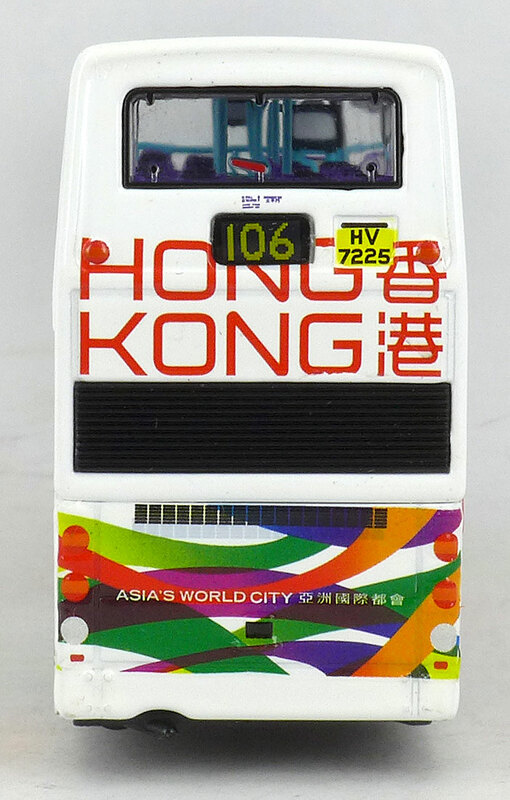 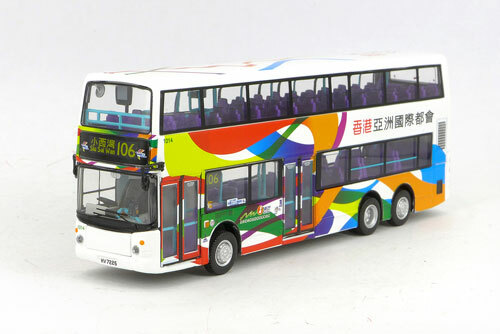 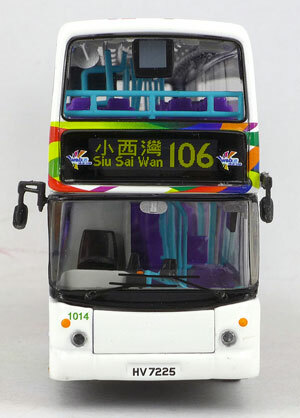 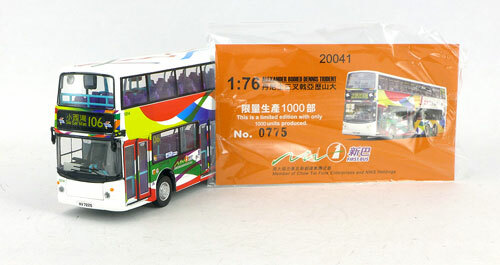 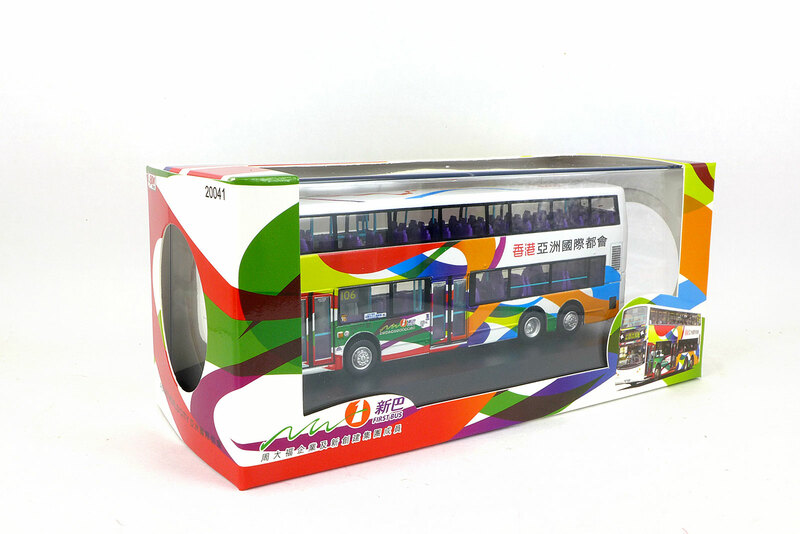 It follows close on the heels of four other 'Asia's World City' decorated models, namely two KMB Dennis Dragons and two KMB Gemini 2 Volvos. 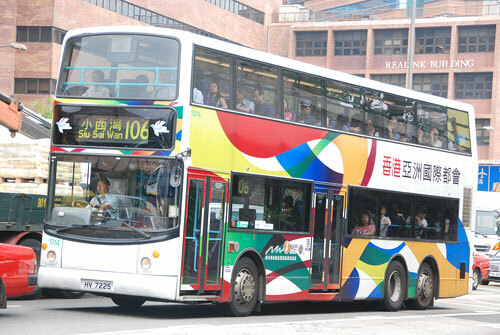 The bus - 1014 is one of over 200 12-metre Alexander ALX500 bodied Dennis Tridents that entered service between August 1998 and June 2002.